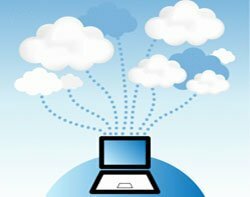 Capita IT Services has launched a cloud platform using Cisco and EMC’s datacentre in a box platform to offer customers cloud services hosted in the UK. Capita is aiming its Capita Private Cloud service at businesses in all sectors. It creates a single contract for businesses that want to take advantage of multiple cloud services and all data will remain in the UK, which the company said will alleviate complexity and security concerns. “Clients we work with at Capita – from NHS trusts and local authorities through to retailers and manufacturers – have told us they want the benefits of cloud but are concerned about security and complexity,” said Andy Parker, deputy CEO at Capita. Customers receive a dedicated account manager and technical experts. Customers only pay for what they use and can access extra capacity when they need it. Service providers see the opportunity to become trusted cloud partners for businesses with security and technical concerns. Capita competitor Serco recently contracted SunGard to take responsibility for its UK IT infrastructure to support its internal cloud services and help it establish cloud services for its customers. Ar the Gartner Outsourcing summit in London, Gartner analyst Claudio Da Rold said trends such as cloud computing and digitisation will see the number of European IT services firms reduce by 20%.